Can we escape from our biology and become more evolved? My blog today is written from a place of seeing the pain that some people close to me are going through……..love and light to them. Why is it that when 2 factory workers sit side by side and are exposed to the same carcinogenic chemicals for 20 years that one manifests cancer and the other doesn’t? Maybe, just maybe, there is some kind of internal order at work that supersedes the continual environmental exposure to harmful chemicals which are known to genetically alter tissue. Is it possible that managing our own internal environment, regardless of the external environment we can maintain or change our genes? There is a growing body of studies & evidence that points to the effect of stress on our bodies and it points to the fact that most species live in a primitive state of survival. This limits our evolution as the chemicals of stress alter our internal state and pull the trigger of cellular breakdown thus chronic long term stress weakens our bodies. Over a period of time we begin to like and cannot shake the internal state of turmoil and we rely on the chemical state that drives us to experience confusion, unhappiness, aggression even depression etc. So, why do we cling to relationships or jobs that that logically no longer work for us? If it is the conditions of our job that we dislike so much, why don’t we just get another one? If there is something in our personal life that causes us to suffer, why don’t we change it? why does changing ourselves and our conditions in life seem so hard? The answer to those questions are that we choose to remain in the same circumstances because we become addicted to the emotional state they produce and the chemicals that arouse that state of being. Is change easy? For most people I would say the answer to that is no which is why some people choose to stay in situations that produce the kind of troubled states of mind that plague them for their entire lives – Ouch, that’s gotta hurt! People choose this state of ‘ being stuck’ partly because of genetics and partly because a part of their brain has become hardwired by their repeated thoughts and reactions that limits their vision of what is possible. Everyone probably knows someone that isn’t happy unless they are unhappy ! When it comes to evolution, change is the only element that is universal, or consistent to all species on earth. To evolve is to change by adapting to the environment. Our environment as human beings is everything that makes up our lives. You know, all those complex circumstances that involve us, our loved ones, social status, where we live, what we do for a living, how we react to those around us & even the times we live in. When we change something in our life, we have to make it different than it would be if we left it alone. To change is to become different, it means that we are no longer who we used to be. We have modified how we think, what we do, what we say, how we act and who we were being. Personal change takes an intentional act of will, and it usually means that something was making us uncomfortable enough to want to do things differently. To evolve is to overcome the conditions in our life by changing something about ourselves. We have an innate ability to be neuroplastic – the ability to rewire and create new neural circuits to make substantial changes in the quality of our lives. Our ability to be neuroplastic is equivalent to our ability to change our minds, to change ourselves and to change our perception of the world around us; that is, our reality. In order to accomplish this we have to change how the brain automatically and habitually works. When you effect neuroplasticity your brain has permanently changed; it neurologically tracked a new way to fire off circuits, by making new neurological patterns that work in a different pattern. Here is a great example… what do you see when you first look at this image? Now, look at it again and what do you see? 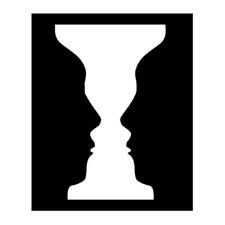 Maybe you first saw a candlestick or maybe you saw 2 people looking at each other ! What you first see in the form of a picture will be what is the most familiar pattern in the shape you are looking at. 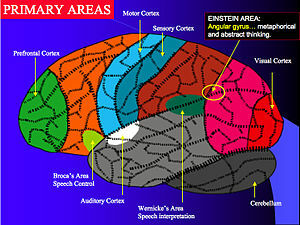 Just above your ears, the temporal lobes (the brain’s center for decoding & recognsing objects) locks in a memory. The picture activates a few hundred million neurological circuits, which fire in a unique sequence and pattern throughout specific parts of your brain, and you are reminded of a candlestick or 2 people looking at each other – cool ! So, going back to neuroplasticity, what if you saw the candlestick and I told you to no longer see that object and to see 2 people looking at each other instead. For you to accomplish that feat, your frontal lobe would have to force your brain to “cool off” the circuits that are related to candlesticks and reorganise it’s circuitary to imagine 2 people looking at each other instead. The ability to make the brain forgo it’s habitual internal wiring and fire in new patterns and combinations is how neuroplasticity allows us to change. Breaking the habit of thinking, doing, feeling, perceiving or behaving is what allows you to see the world and see yourself differently. You change your mind by altering the brain’s typical firing pattern and by strengthening new chains of brain cell connections, and thus who you are has changed as well. Umm, does this then mean that change, neuroplasticity and evolution all have similar meanings? Put Yourself in Good Hands – Your Own ! Are you searching for a single solution to address all of your aging symptoms? The Jeunesse Cellular Age Management System (CAMS) with Dr. Vincent Giampapa from Jeunesse LLC on Vimeo. I have just returned from a trip to The Land of the Long White Cloud otherwise known as Aotearoa or New Zealand. I find NZ to be such a beautiful place not just physically but also culturally. It’s probably best known for The All Blacks, The Haka and Maori’s but for me it is an incredibly spiritual land. The Maori’s believe that most things contain “mana” – spiritual essence. 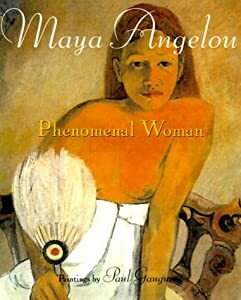 Mana is within man himself, land, nature, and also man-made objects. Contact with mana contained objects or beings by non-authorised persons or objects could cause the mana to be drained away. I always wonder how you know what contains Mana? For instance I know that you should not buy yourself a piece of greenstone, it should be bought for you as a present by a New Zealander and preferably of Maori origin – I wonder if buying for yourself drains Mana? It’s hard to spend time in NZ and not meet a lot of people as everyone is so friendly and strangers talk to you all the time which is not something I am used to living in Sydney and certainly not when I lived in London or the US. An example – I was ordering some lunch in a cafe and ordered a sandwich and bottle of water and the guy who was in the queue next to me said “I wouldn’t buy that wee bottle of water if I were you, they have a tap and glasses over there, you can get your water for free.” As soon as he heard I was an Aussie we had a 10 min talk about the World Cup and how he had hoped it was going to be a Wallabies, All Blacks final. Sat down at my table to eat lunch and the people on the table next door started chatting to me about the weather, which incidentally was bloody awful the whole time I was there – but hey, I wasn’t there for the weather, I was visiting friends. Made me think about the lack of community spirit in every city I have lived in for the past 22 years. Oh, how I miss that. My final piece of trivia is on food, which is somewhat of a passion of mine – the food in NZ is superb because it is so fresh as they grow and use a lot of there own produce. The land is incredibly fertile and the weather differs so much throughout the whole country that the produce can be very diverse depending upon where you are in the country. I had to have whitebait fritters – just because, when in Rome! And smoked muscles and Mahi Mahi and Broad Beans (reminded me of England) and Sauv Blanc (lots of) and…..Oh the list could go on and on and on…. heaven on a plate. THE WEATHER IN AUCKLAND HOWEVER LEFT A LOT TO BE DESIRED !!!! I just came across this really interesting slide show about Mood Foods – what different types of foods do to your body bio-chemically & emotionally. 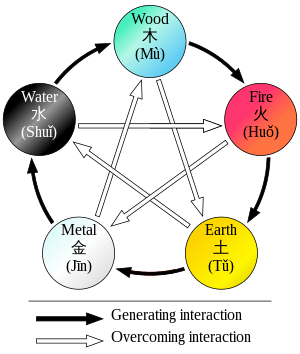 In the Chinese 5 Elements Spring sits in the Wood element and is the time of new beginnings. It’s a great time to rise early with the sun and take brisk walks which reflect the ascending and active nature of Spring. The sight of green shoots coming up from the earth and plants flowering nourishing our soul through our eyes and sense of smell. The metaphorical membrane over the eyes & mind disappears and vision becomes clearer – we see things in new ways. It is the time of year when our appetite decreases and the body naturally cleanses itself, not only of food residues, but of excessive desire and the accompanying emotions of dissatisfaction, impatience and anger. This is a time for contacting your inner self and true nature and giving attention to self awareness and self expression. This is the season to attend to our Liver & Gallbladder so the diet should be the lightest of the year and contain foods which emphasize the Yang – young plants, fresh greens, sprouts, immature wheat or other cereal grasses. Salty foods should be limited and too many heavy foods clog the Liver resulting in Spring fits & fevers. Sweet & pungent foods are also good such as honey & mint tea or cooking herbs such as basil, fennel, marjoram, rosemary & dill. Most complex carbs such as grains, legumes & seeds have a primarily sweet flavour which increases with sprouting. The Liver is perhaps the most congested of all of our organs – too much fat, chemicals, intoxicants & denatured food all disrupt the intricate bio-chemical processes of the Liver. Chinese Medicine Practitioners tell us that a healthy Liver establishes a smooth and soothing flow of energy through the whole person both in body & mind. When the Liver is harmonious there is never stress & tension. People with vital Livers are calm, have unerring judgment & can make effective leaders & decision makers. When obstructed, stagnant or over heated the energy flow in the Liver & throughout the body is hampered, which can result in a myriad of physical & emotional problems. One of the first signs of Liver disharmony is emotional difficulty relating to anger, impatience, stubbornness, frustration, resentment, arrogance or an impulsive or explosive personality. If these emotions are repressed they can lead to depression. Mood swings as well as emotional excesses are in general Liver related. When the Liver is consistently stagnant, sediment often settles out of the bile and forms accumulations that resemble stones, sand or mud in the Gall Bladder which make it much less efficient. Symptoms of this sediment may be indigestion, flatulence, periodic pain in shoulders, neck & a bitter taste in the mouth. Most chronically ill people need Gall Bladder cleansing before recovery is complete. As with any cleansing it should only be undertaken with the help of a professional such as a Naturopath. If you do undertake a Gall Bladder cleanse it is best to avoid foods richest in saturated fats and cholesterol. In Spring the best foods for the Gall Bladder are unrefined grains, vegetables, fruits & legumes. I am a complementary therapist who believes that everyone has the ability to empower themselves to achieve change and become limitless. Sometimes we just need a little help to get there!